[Trans]mutations is a series of collages created from previously unpublished photographs. 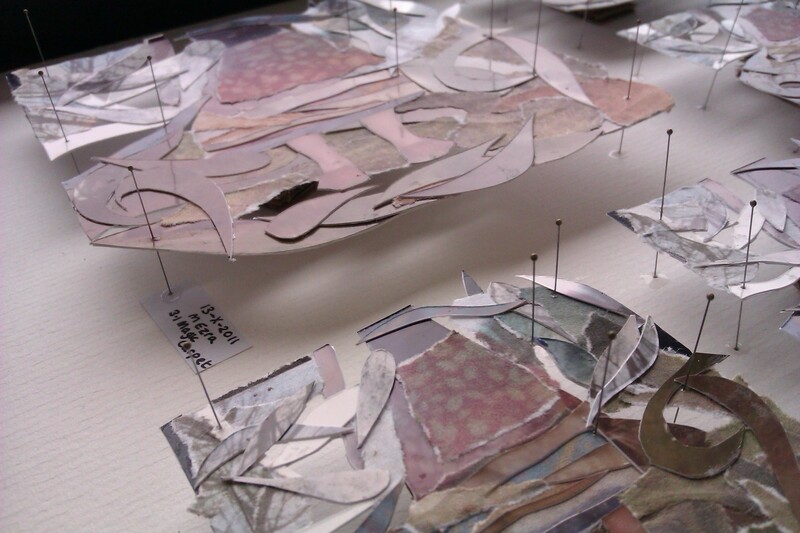 On creating the first of these parent collages a further family of ‘daughter’ collages is made. This smaller sequence attempts to recreate the original parent and whilst each species of collage is immediately identifiable from its key compositional components, other factors such as mood and environment render each daughter different and independent of the parent. As a response to their delicate nature these pieces are provided asylum by deep open box frames; each is pinned taxonomically as if a study of an entomological species. Re-workings of each collage reinforce and enhance a fragile non-existence of a species rather than preserving the solidity of anything previously living. Framing families of species in this way draws parallels with duplication, transformation, and evolution in nature.